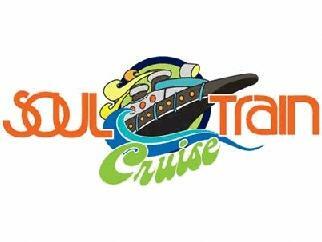 First-Ever Soul Train Cruise Sells Out In Just 75 Days! *Just 75 days after it was announced; the inaugural SOUL TRAIN CRUISE has exceeded expectations by selling out so quickly. In response to the overwhelming demand, a second seven day cruise has been scheduled for 2013, departing fromSan Diego on October 5th and traveling to Cabo San Lucas, with two days in Puerto Vallarta and a scenic cruising of Baja Magdalena. Luxury cabins aboard Holland America’s m/s Westerdam will go on sale on September 26. Artists confirmed to perform onboard include Earth, Wind & Fire, Gladys Knight, Jeffrey Osborne, The Whispers, Freddie Jackson, Sugarfoot’s Ohio Players, Jennifer Holliday, Billy Paul , Con Funk Shun, Jody Watley, Regina Belle, The Bar-Kays, The Dazz Band, The Mary Jane Girls, The Original Lakeside, A Taste of Honey featuring Janice Marie, DW3, Comedian Alonzo Bodden and DJ extraordinaire Biz Markie. The seven day luxury cruise will depart from San Diego,CA on October 5th, traveling to Cabo San Lucas, with two days in Puerto Vallarta and a scenic cruising of Baja Magdalena, before returning on October 12th. The Inaugural SOUL TRAIN CRUISE, featuring Patti LaBelle, The O’Jays and Jeffrey Osborne, and many more, has been sold out since early summer and will depart on February 17th from Fort Lauderdale before returning on February 24th. The SOUL TRAIN CRUISE West will be aboard HollandAmerica’s m/s Westerdam as was the inaugural SOUL TRAIN CRUISE. The m/s Westerdam is an internationally recognized luxury cruise ship with more than two-thirds of the cabins featuring verandas. Cruisers will enjoy world class dining, and will attend concerts by an incredible array of R&B legends such as Earth Wind & Fire, Gladys Knight, Jeffrey Osborne, The Whispers, Freddie Jackson, Jennifer Holiday, Billy Paul, Regina Bell and Jody Whatley among many others. This year will also feature a who’s who of funk bands including Sugarfoot’s Ohio Players, Con Funk Shun, The Bar-Kays, The Dazz Band, The Mary Jane Girls, The Original Lakeside and A Taste of Honey, featuring Janice Marie. Back-to-back concerts by legendary artists are just part of the non-stop events scheduled aboard the SOUL TRAIN CRUISE. Guests will also be invited to wildly fun Soul By The Sea beach parties, a Solid Gold Theme Ball with the iconic Soul Train Line lead by Original Soul Train Dancers who actually danced on the iconic show, and DJ extraordinaire Biz Markie spinning classic R&B and current hits on deck; all transporting them back in time to the early days (and outrageous fashions) of the original TV series. Cruisers will also participate in onboard games such as the beloved Scramble Board and other retro-fueled contests, vie for Soul Train DVD, t-shirt and CD giveaways all while enjoying world class meals, sun and fun, and much, much more. Soul Train has been an integral part of popular culture since its debut in 1970 and continues be a vital force in entertainment with its all-star Soul Train Awards shows. Soul Train is also one of the most successful shows ever created, holding the record for the longest, first-run, nationally syndicated television show ever and remains popular to this day. Vintage episodes continue to air on CENTRIC (a SOUL TRAIN CRUISE Presenting Sponsor), nearly 500,000 DVDs have been sold, and the Soul Train Awards draw international superstars to its ceremony every year. Headquartered inFairfax,VA, Direct HoldingsAmericas, Inc. currently develops and sells audio and video products via retail, on line and direct response TV under the Time Life name. Time Life is a registered trademark of Time Warner Inc. and affiliated companies, used under license by Direct Holdings Americas, Inc., which is not affiliated with Time Warner Inc. or Time Inc. In 2010, Direct Holdings Americas, Inc. launched its Starvista Live Entertainment division with the inaugural sailing of the Malt Shop Memories Cruise, now an annual event, and is expanding to include the Soul Train Cruises, The Celtic Thunder Cruise and The Ship of Fear: A Horror Cruise in 2013. The largest private music charter company in the world, St. Louis, Missouri-based ECP-CHARTER CRUISES, LLC owns, produces and promotes The Smooth Jazz Cruise: The Greatest Party At Sea and The Jazz Cruise, and is proud to work with Direct Holdings -Americas, Inc. for The Malt Shop Memories Cruise and The Soul Train Cruise. ECP-CHARTER CRUISES, LLCprides itself on providing first-class musical vacation experiences featuring marquee stars from their respective genres for loyal passengers, many of whom make the cruises an annual affair. With its current slate of excursions, Entertainment Cruise Productions, LLC (Jazz Cruises) will have produced 35 full-ship charter cruises. Additional information is available here.